Chinnadana Nee Kosam is an upcoming Telugu film directed by A. Karunakaran. The film is produced by Nikita Reddy and features her brother Nitin and Mishti Chakraborty in the leads. A cat and mouse chase between a powerful mafioso and a sharp cop, interlaced with a love-story and some comedy. 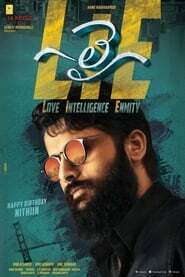 How a Central Intelligence Officer uncovers the truth of a world famous magician and mimic artist is depicted in this ‘Love Intelligence Enmity’ film.